Get a new look today! Website packages start at $25 per month with no upfront fees. To complete your image, you need to look as great as you perform. That is why we work hard to ensure that your media stands out from the rest. Whether it's a website, hero card, or sponsorship proposal, we offer complete and affordable packages that help decrease your workload and stress without sacrificing quality. With every product and service, we offer reliable customer service so that we can stay connected with our customers to ensure that we meet their expectations. We offer various other high quality products to help build your image. 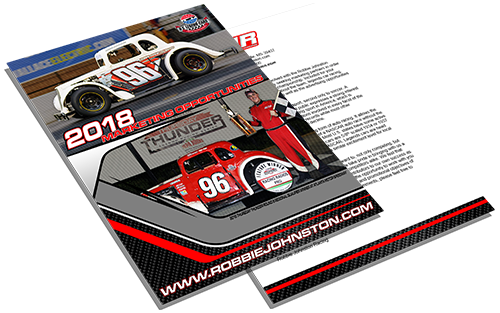 From hero cards, to vinyl decals, to video production, we have you covered! 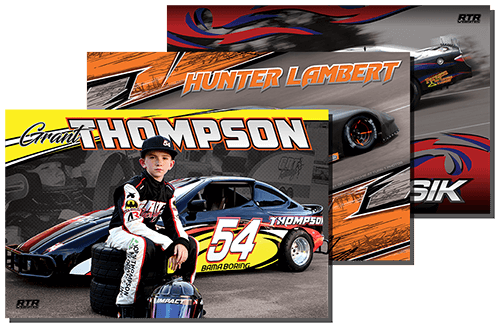 Professionally designed and printed autograph cards! Quality, custom cut decals at affordable rates! 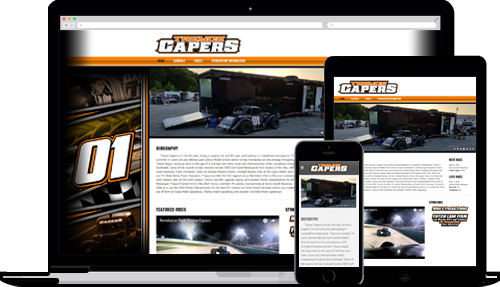 From promotional videos to race highlights, we have you covered! Don't know how to approach a potential sponsor? Let us help! We offer professionally written sponsorship proposals for any form of motorsports. We can evaluate your strategies and help you improve your brand! Don't just tell them how many people watch your sport, show them! Our sponsorship proposals are printed on 100 lb. gloss cardstock! No hidden startup fees. The price you see is the price you pay! Don't see what you need? We can tailor a package to fit your needs. Click Here to contact us. We stand behind our products. Our support team is highly dedicated to helping you get the most out of your experience with us. Get in touch via live chat, email, phone, or one of our social media platforms. Don't see a product or service to fit your needs? Don't be afraid to ask! Let us get started building your site today! We offer high quality products with great customer service!